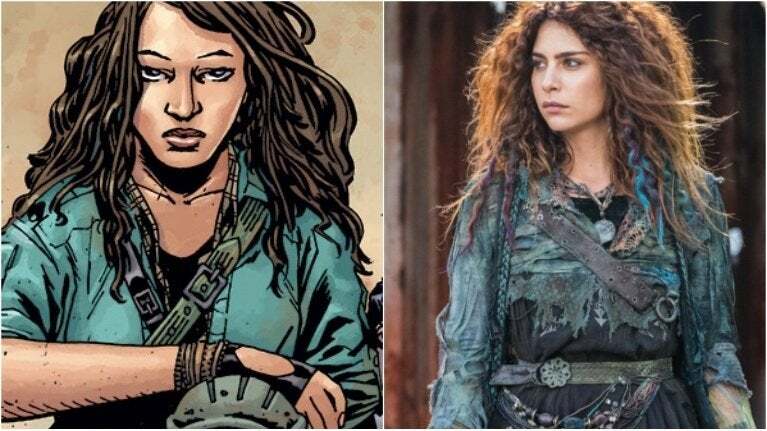 “We have some really cool new characters for comic book fans, you'll get to see some familiar faces,” new season 9 showrunner Angela Kang said at The Walking Dead’s Comic-Con panel Friday. “[Executive producer and former showrunner] Scott Gimple has said Season Eight really closed one chapter of the show, and Season Nine is a new chapter. So, to come in to the showrunner role at that point is exciting. We're jumping forward in time, so we get to play with the look and the feel of the show. Both from a technical level — we reviewed the filming style and continue to shoot on film — but also in terms of the way the stories and the things look onscreen. And what we're seeing is a little bit different.